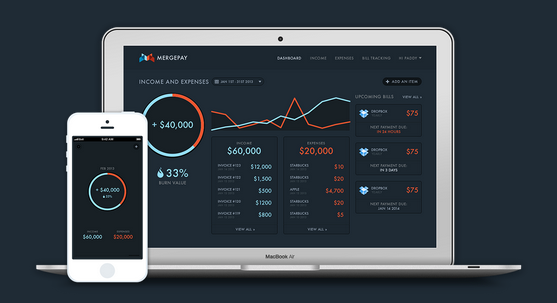 MergePay, the beautifully simple business-focused financial tracking service that we wrote about back in 2012, has finally exited beta and made a number of significant changes, including a rebrand to MergePay Pulse and shift to a freemium model. Previously, users opting to use the service for free were limited to tracking a maximum of nine bills, but now you can track as many as you wish without paying a dime. To recap, MergePay Pulse is essentially a Mint-like service for businesses that tracks incomings and outgoings to ensure users are on top of their finances. But while Mint only covers the US, MergePay Pulse supports over 12,000 banks, which cover “practically any country in the world,” founder Ian Borders tells TNW. In addition, it integrates with Stripe and PayPal, and syncs user receipts to Evernote and Dropbox accounts, giving you some solid storage for your digital ‘paperwork’. 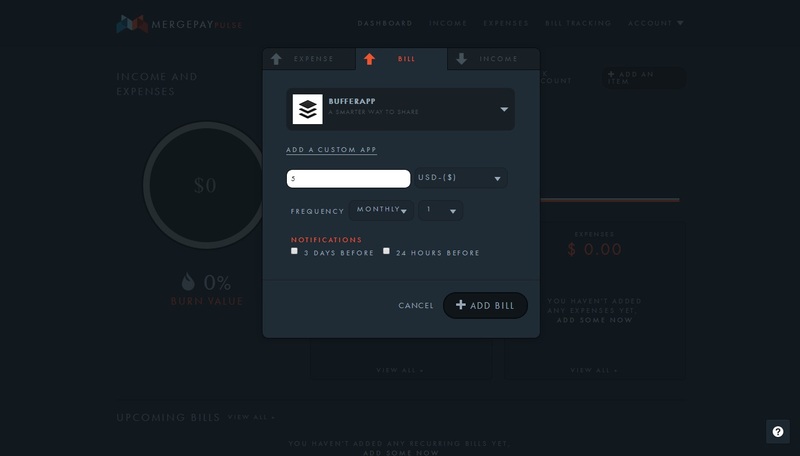 Bills are added using a range of customized categories — which seemingly cover every tech service under the sun — while you can add notifications to remind you when a payment is due or about to be paid. MergePay Pulse can also automate bills from emails, and a cool OCR feature in its iOS app lets you snap a photo of a bill and watch it magically sync to your account. For now, iOS is the only mobile app available, but Thailand-based Borders says an Android app will arrive in around six weeks time. Away from the basics, MergPay Pulse offers a $39 per month premium service which unlocks the OCR feature in the app and gives users full access to their data, which can be exported from the MergePay Pulse service. So, for example, if you need your data for another system or want to export it for tax returns or other reasons, you can do so as a paying member. Borders explains that the move to freemium is aimed at bringing the benefits of the service to more entrepreneurs and businesses, particularly those outside of the US who may currently track their finances offline or using a spreadsheet-based system. Interestingly, he says that MergePay will introduce a payments service this year that he expects to generate the bulk of the company’s revenue, which takes the pressure off MergePay Pulse. 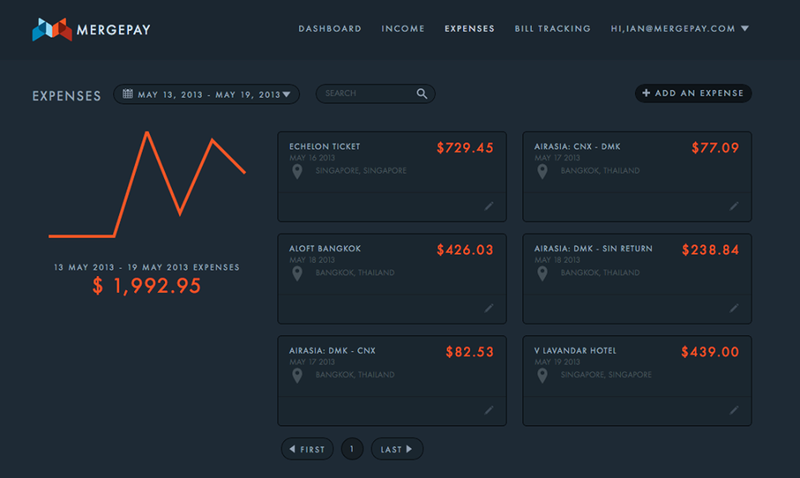 So, if you’re a business owner or executive who is stuck tracking your company finances using primitive means, MergePay Pulse is worth considering. Likewise, it is open to consumers, and may appeal to those outside of the US or Europe who are unable to use financial tracking tools like Mint.